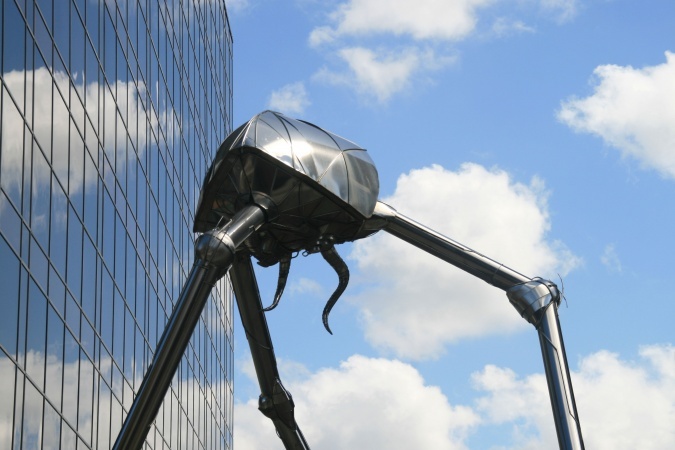 One of Woking's few claims to fame, is that the Martians landed on nearby Horsell Common before destroying the town in H. G. Wells novel, "The War of the Worlds" (1898). 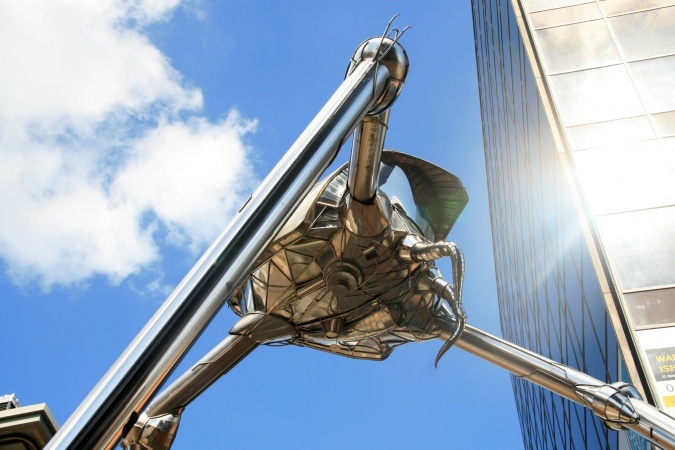 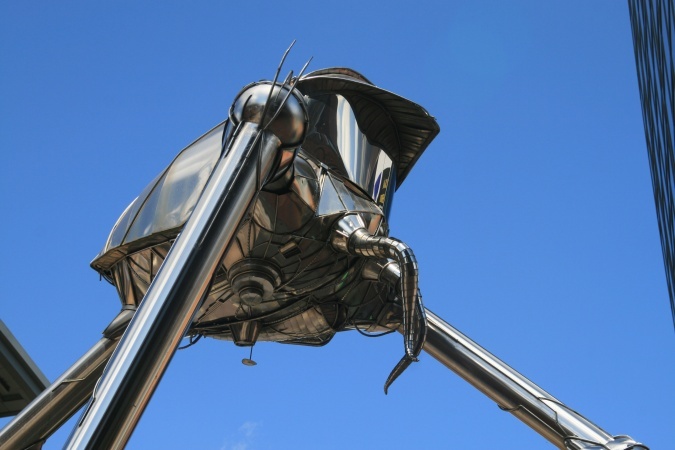 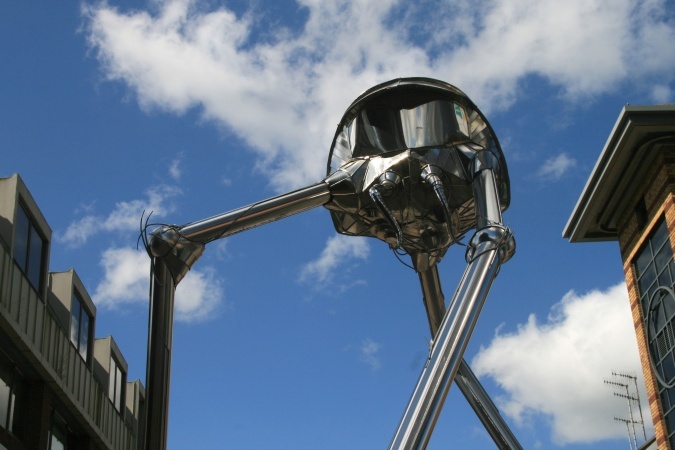 On the 100th anniversary of its publication, Michael Condron's 23 feet high sculpture of a Martian tripod was unveiled in Woking town centre. 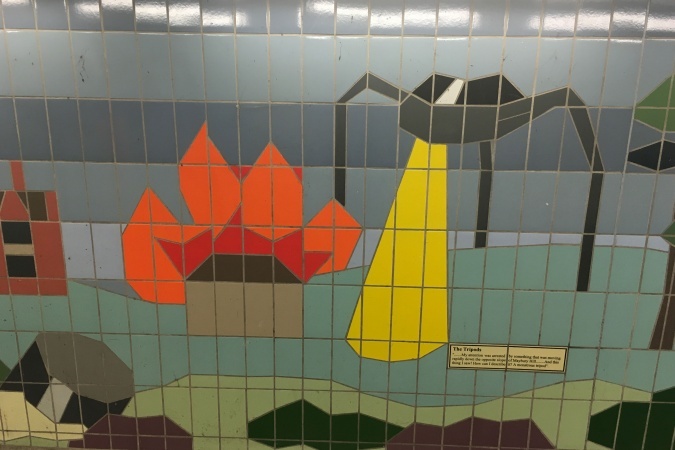 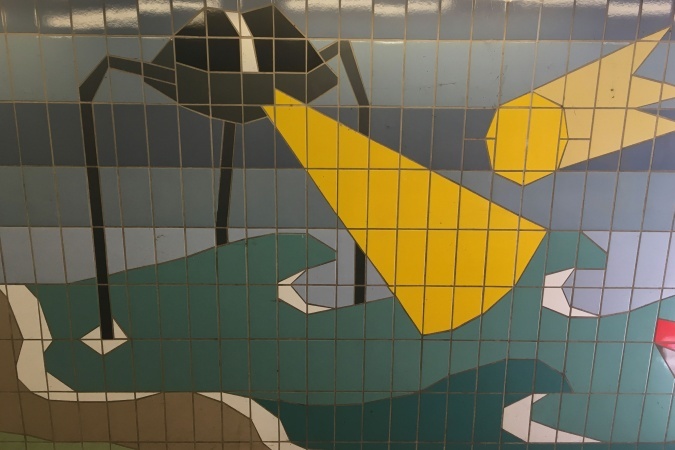 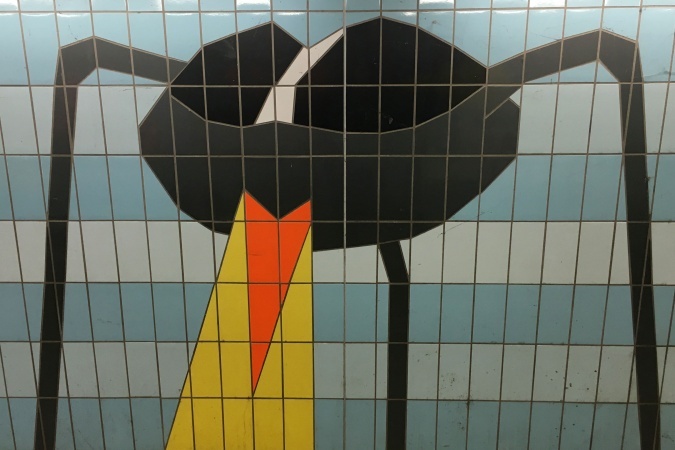 The book is also commemorated on a mural in the Victoria Way underpass.